Allan, David S. - Petty officer, 1st class, R.N. Baker, John D. - seaman, R.N. Barne, Michael - Second lieutenant, R.N. Clarke, Charles - 2nd Cook, R.N. Crean, Thomas - seaman, R.N. Cross, Jacob - Petty officer, 1st class, R.N. Croucher, George Beaver - seaman, R.N. Dailey, Fred E. - Carpenter, R.N. Dell, James William - seaman, R.N. Dellbridge, James H. - Second engineer, R.N. Feather, Thomas A. - Boatswain (Bosun), R.N. Ford, C. Reginald - Chief Steward / stores officer, R.N. Handsley, Jesse - seaman R.N. Heald, William Lofthouse - seaman, R.N. Joyce, Ernest Edwards Mills - Petty officer, 1st class, R.N. Kennar, Thomas - Petty officer, 2nd class, R.N. Macfarlane, William - Petty officer, 1st class, R.N. Mulock, George F. A. - third lieutenant in charge of holds, stores, provisions and deep sea water analysis. Pilbeam, Arthur - leading seaman, R.N. Quartley, Arthur Lester - Leading stoker, R.N. 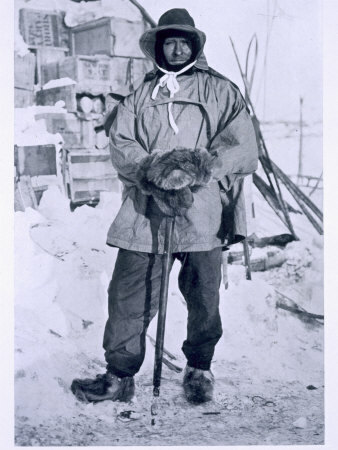 Shackleton, Ernest H. - third lieutenant in charge of holds, stores, provisions and deep sea water analysis. 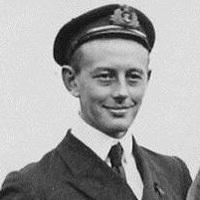 Smythe, William - Petty officer, 1st class, R.N. Vince, George T. - seaman, R.N. Whitfield, Thomas - stoker, R.N. Williamson, Thomas Soulsbury - seaman, R.N. Back Row: Blissett, Allan, Wild,Croucher, Kennar, Handsley, Lashly, Crean, Dell, Evans, Clarke, Weller. Middle Row: Pilbeam, Joyce, Williamson, Heald, Cross, Smythe, Scott. number in brackets is age at the start of this expedition - not always completely accurate. David S. Allan (31) - Petty officer, 1st class, R.N. David Allan was born in Montrose Scotland on the 26th of December 1870. 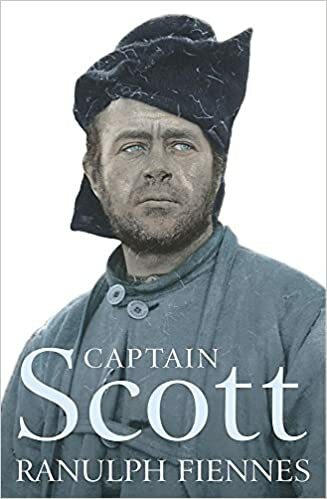 He joined the Discovery Expedition from the Royal naval ship HMS Majestic where he had previously served with and become acquainted with Captain Scott. Known as "The Pilot". 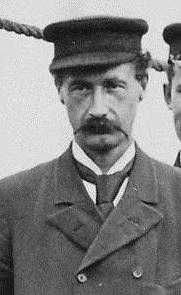 His position in the Discovery expedition was a condition imposed by Sir Alfred Harmsworth, who donated the very large sum of £5,000 toward the expedition, Koettlitz (also of the Jackson-Harmworth Expedition) was also included as a member of the expedition in the same manner. 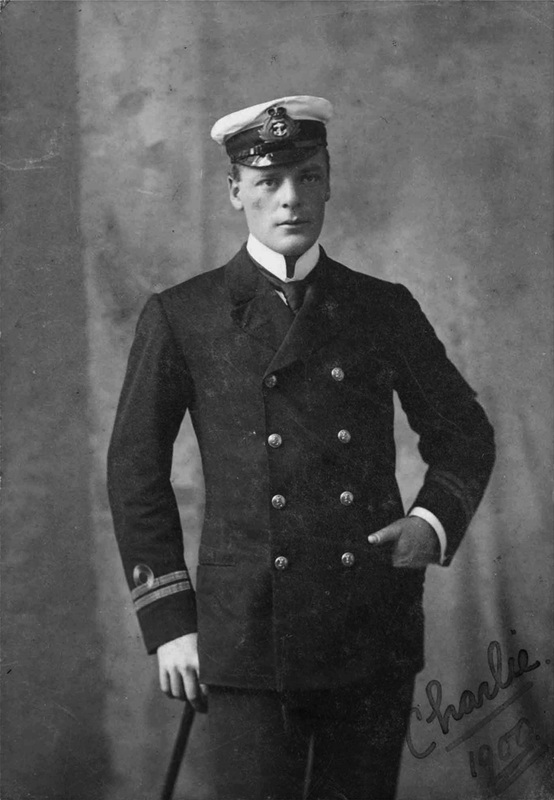 "Armitage was an excellent practical navigator, and of the value of his Polar experience I shall speak late on"
Scott "The Voyage of the Discovery"
John D. Baker (23) - seaman, R.N. Deserted ship at Port Chalmers, N.Z. 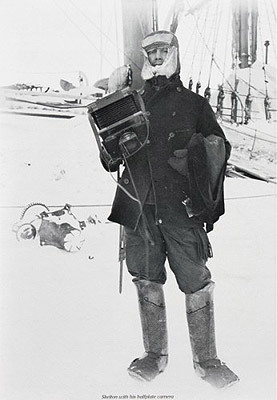 Barne was responsible for magnetometry and depth soundings also participating in several sledge journeys making copious notes throughout his three years with the expedition. 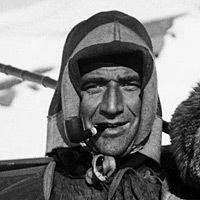 He was awarded the Polar Medal for his contributions and efforts to the expedition. Born 15th October 1877 at Sotterly Park, Suffolk - died 31st may 1961. Bonner (23) - seaman, R.N. Joined at Captown, lost his life after Port Chalmers N.Z. on the 21st of December 1901. 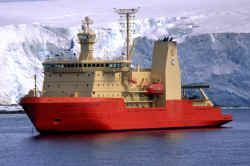 Only member with Antarctic experience on the Discovery expedition. 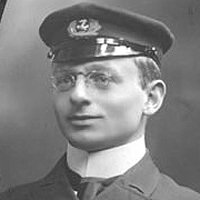 Bernacchi joined the Discovery at New Zealand as a late replacement for the previous physicist who had left on grounds of ill health. Born 1876 in Tasmania - died 24th April 1942 in London. Joined the ship at Port Chalmers, N.Z. as a replacement for Roper, was returned to Lyttelton on board the Morning in 1903. 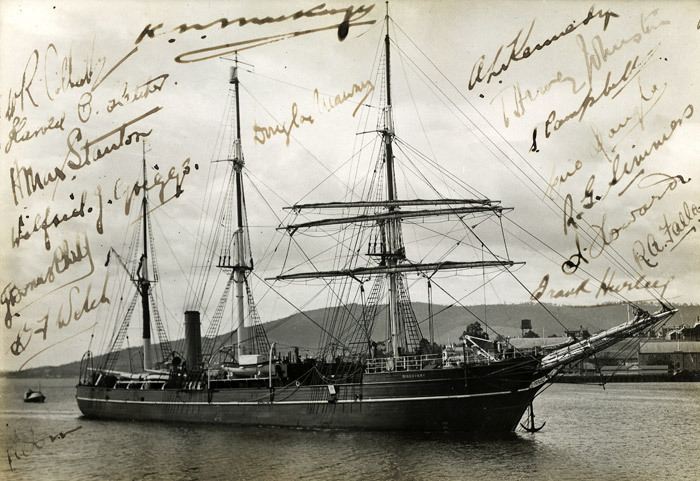 Joined at Capetown, returned to Lyttleton on the Morning in March 1903. Clarke, Charles (24) - 2nd Cook, R.N. Crean, Thomas (24) - seaman, R.N. Joined the Discovery at Port Chalmers N.Z. from H.M.S. Ringarooma. Born 20th July 1877 near Annascaul, Ireland - died 27th July 1938, in Cork. Cross, Jacob (26) - Petty officer, 1st class, R.N. Croucher, George Beaver (20) - seaman, R.N. Originally from Grimsby, joined the Discovery at Cowes, Isle of Wight. Died in WW1 as a commander in the navy. Dailey, Frederick E. (28) - Carpenter, R.N. Joined the expedition from H.M.S. Ganges. Apprentice in a wooden shipyard at a time when wooden ships were being replaced by iron and then steel hulled ships. 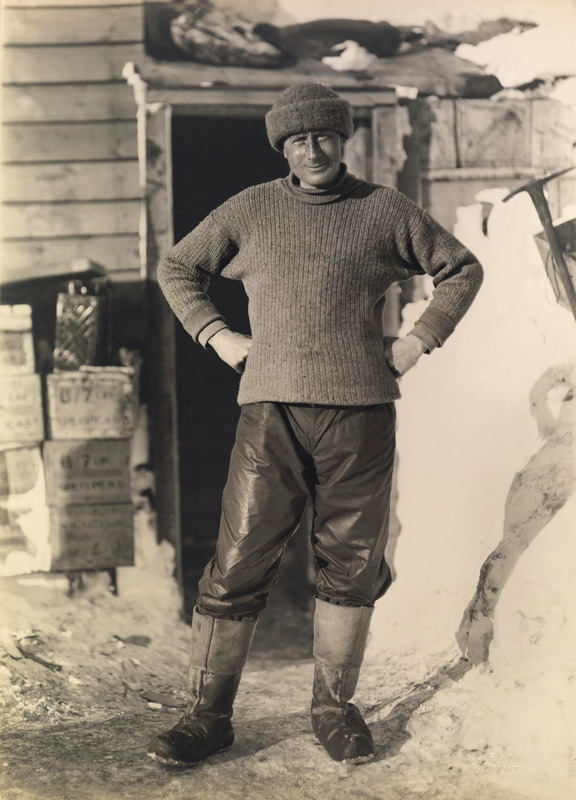 In Antarctica he was responsible for building the Discovery Hut which still stands. A member of Scott's Western Attempt, the Southern Support Party and the Western Depot Party, manhauling and laying depots for others. Dell, James William (23) - seaman, R.N. Jimmy Dell became an electrician/ maintenance engineer at the Chapel Cleeve Estate near Blue Anchor in Somerset. This was the home of Gerald Stewart Lysaght, an iron and steel industrialist, who had factories in Bristol, Newport, Wolverhampton, Scunthorpe and Melbourne, Australia. 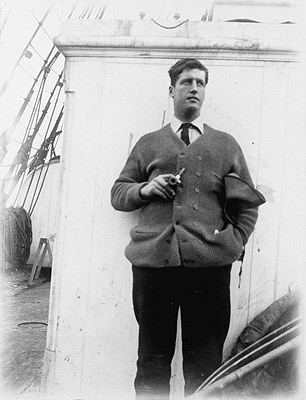 Lysaght was one of the major backers of Ernest Shackleton. During World War 2 JW Dell, GS Lysaght, and Sothoron Lawrence, the Chapel Cleeve Estate Land Agent, were recruited to the Auxiliary Units Special Duties Section, and were involved in a clandestine intelligence gathering and communication organisation using hidden wireless sets, word-of-mouth, dead-letter drops and homing pigeons. This organisation was one part of the most-secret British Resistance Organisation. Information provided courtesy of Tim Wray, Auxiliary Unit researcher, , Shepton Mallet, Somerset. James H. Dellbridge (29) - Second engineer, R.N. 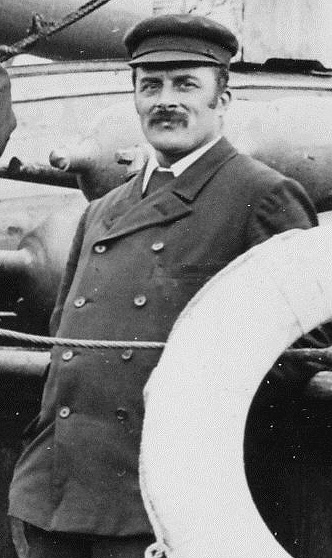 James Dellbridge was second engineer under Reginald Skelton, his duties on the Discovery were to ensure that the engines were always in good repair and working order, a task that he achieved admirably. Discharged at Port Chalmers, N.Z. by "mutual consent" ( a less severe form of dismissal) and replaced by Hare. Edgar Evans - Petty officer, 2nd class, R.N. Born 1876 at Middleton, Wales - died 17th Feb 1912 with Scott on the return from the South Pole. Evans (26) - rating, R.N. Evans, RN rating who was on the first Scott expedition later resided in my hometown of Vermilion Alberta. Each year he would be invited to speak to to school children about his experiences while part of the expedition. I was about 12 years old when I first heard him speak of his experiences in Antarctica and in ensuing years had further conversations with him. He was a well known and respected local figure. He is buried in the Vermilion cemetery. I understand he was invited to be a member of the second Scott expedition at the last minute and did journey to New York in order to meet a ship. He missed the connection because of problems with railway schedules and a tight time line. He had been contacted by telegraph while in Vermilion and had to quickly postpone either wedding or engagement plans. He did admit that in hindsight he was fortunate to have "missed that boat" because he may then have been involved in the later less fortunate expedition. He seems to have spent most of his time on the ship while it was locked in the ice. The crew had a full daily schedule of duty involving recording temperatures of air and water and of using an under ice net to sample fish and sea life. New species were recorded and then cooked and eaten by individual crew men to determine if they were safe or edible. I recall him saying that to a British sailor "there was little that was not edible." With many thanks to Anthony Dixon. Feather, Thomas A. (31) - Boatswain (Bosun), R.N. 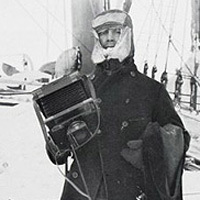 While south and during the winter, with little or no ship-board duties to perform, Feather was given the responsibility for the sledging equipment, making sure it was ready and prepared for the sledge journeys, a task he performed as diligently as his duties on the ship. "Thomas Feather, was a thorough seaman, and took that intense pride in his charge which was so well known in the old sailing days. A sailor will understand well the merits of a boatswain who can make the proud boast that the Discovery circumnavigated the world without losing a rope or sail". 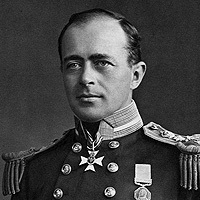 Feather was also enlisted by Scott again in April 1910 for the ultimately ill-fated Terra Nova expedition, though by November of the same year his service record had the note, "Sent home as unsuitable for Antarctic Expedition". The reason is unclear, though frictions between Feather from the regular Navy and other Mercantile Marine expeditioners may have had a part to play. 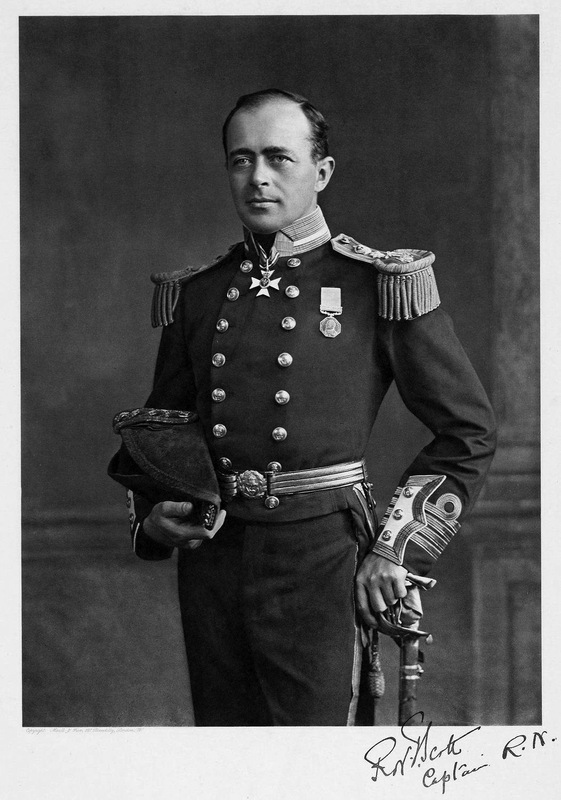 Following graduation in June 1901, Ferrar was appointed geologist to the Discovery Expedition a just month later in July setting sail for Antarctica in the August. He was not an experienced geologist and was not at all well prepared for the work he would encounter in the South though spent much time applying himself to bookwork and study to learn all he could in the time available. After Shackleton's departure from the expedition he also took over his role of sea-water analysis in addition to being a geologist. C. Reginald Ford (23) - Chief Steward / stores officer, R.N. Scott had difficulty in selecting the steward for the Discovery Expedition, partly as it is such an important position on an exploratory trip with little or no chance for replenishment of supplies, compounded by the fact that they were heading largely into the unknown in the way that events may have progressed. Ford was a very young man and inexperienced at the time of the voyage, though he fitted the task very well. Like many other young men on such expeditions, compensating with inexperience with a quick ability to learn and detailed application to his appointed job. New Zealander (the only one on the expedition) joined the ship at Port Chalmers, N.Z. as a replacement for Dowsett, was returned to Lyttleton on board the Morning in 1903 and re-engaged on June 8th 1904 for the voyage home to England. Hare was a part of the group that tried to return to the Discovery after getting caught in a blizzard and led to Vince losing his life. He fell asleep and lay covered by snow for around thirty-six hours. Despite this he didn't suffer from frostbite also enduring forty hours without food and sixty without any warm food. Heald, William Lofthouse (25) - Able Seaman, R.N. 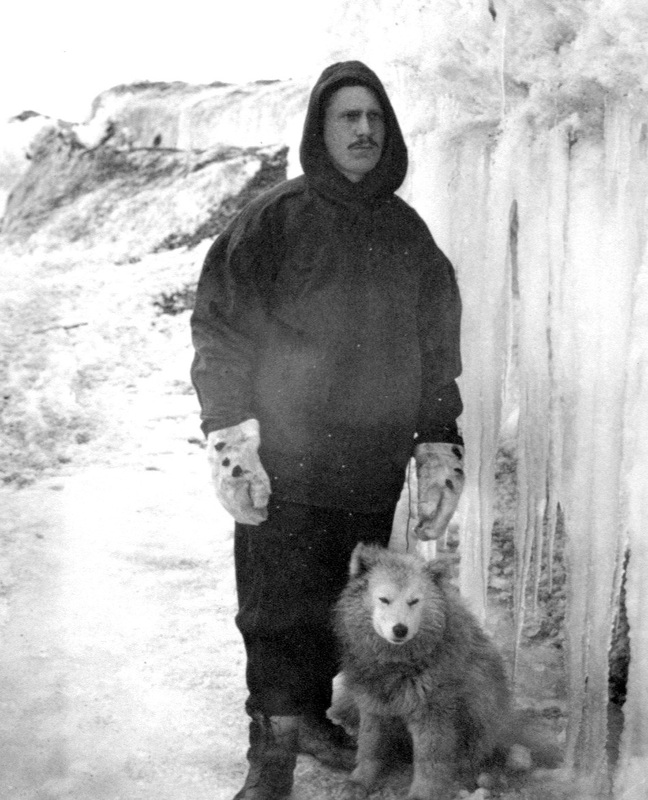 Saved Ferrar's life in 1902 when he was in danger of dying of scurvy during a sledge journey. Thomas Vere Hodgson born in Birmingham, England started his life in business through necessity rather than design. His desire was to qualify in medicine and natural science, though circumstances did not allow this for many years during which he devoted his spare time to scientific study. Eventually he was appointed to a minor position in the Plymouth Biological Laboratory from which followed a lectureship and a post as curator of the Plymouth Museum. 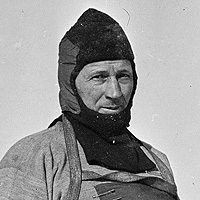 At 37 years old when he joined the Discovery expedition Hodgson was one of the oldest members. Hubert returned to Lyttelton on board the Morning in 1903. The "donkeyman" is the crew member whose job is to deal with the operation and maintenance of any and all assorted machinery other than the main ship's engines. Joyce, Ernest Edwards Mills (26) - Petty officer, 1st class, R.N. Born 1875 - died 2nd May 1940. Kennar, Thomas (25) - Petty officer, 2nd class, R.N. 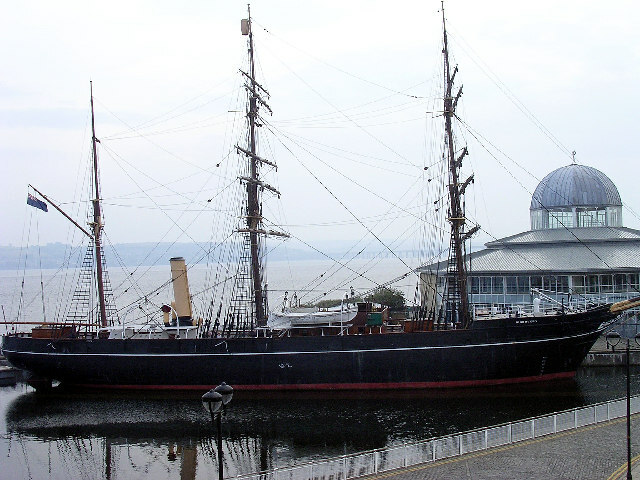 The oldest member of the Discovery Expedition, 40 at the time. 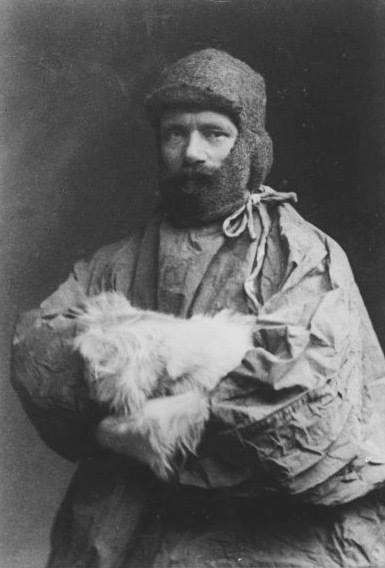 This was Koettlitz's second polar journey after being the doctor on an earlier Arctic journey. His position in the Discovery expedition was a condition imposed by Sir Alfred Harmsworth, who donated the very large sum of £5000 toward the expedition, Armitage (also of the Jackson-Harmworth Expedition) was also included as a member of the expedition in the same manner. Born in 1861 in Ostend, Belgium - died, Port Elizabeth, South Africa in 1916. Lashly, William (33) - Chief stoker, R.N. 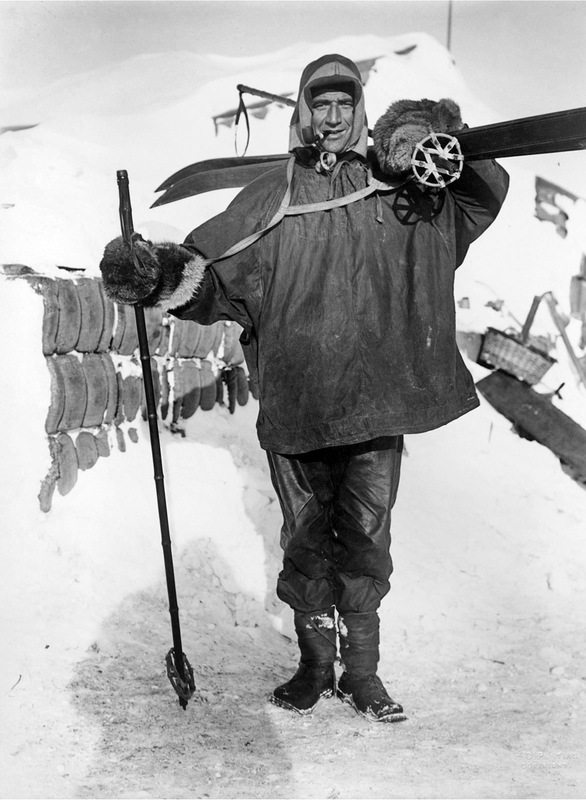 Chief stoker Terra Nova 1910-13, his diary of the expedition was published in 1938-39 by the University of Reading. Joined the expedition from H.M.S. Duke of Wellington. 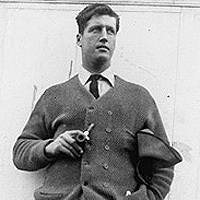 Born Hambledon, Hampshire died 12th June 1940 at Hambledon. Discharged at Cape of Good Hope by "mutual consent" ( a less severe form of dismissal) and replaced by Vince. Discharged at Cape of Good Hope at his own request, replaced by Sinclair. William Macfarlane (27) - Petty officer, 1st class, R.N. Invalided and returned to Lyttelton on board the Morning in 1903. Mulock, George Francis Arthur - third lieutenant in charge of holds, stores, provisions and deep sea water analysis. 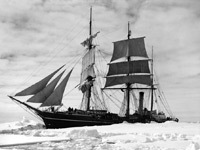 Replacement for Shackleton in 1903, reached Antarctica on the Morning from New Zealand. 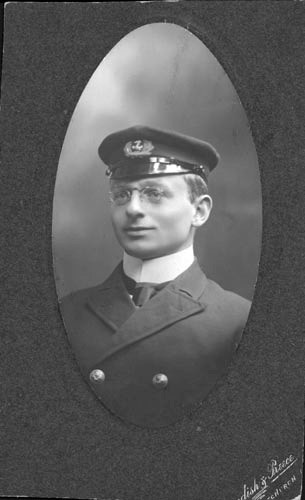 Peters (22) - seaman, R.N. 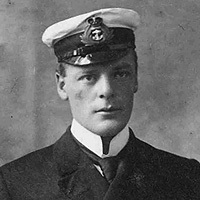 Arthur Pilbeam (23) - leading seaman, R.N. Arthur Lester Quartley (28) - Leading stoker, R.N. Discharged at Port Chalmers, N.Z. by "mutual consent" (a less severe form of dismissal) and replaced by Brett. Gilbert Scott joined the Discovery at Cape Town. He was born in Langford Wiltshire on the 6th of February 1878 and joined the Royal Navy on the 7th of November 1896 becoming a Royal Marine. He was promoted to Sergeant and was killed at Gallipoli on May 3rd 1915 at the age of 37. His body was never recovered. 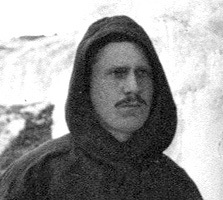 expedition leader Terra Nova 1910-13, second expedition to reach the South Pole 1912, perished on the return journey. 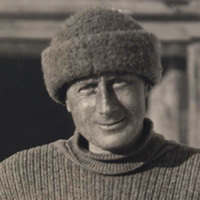 The Discovery Expedition was the first encounter with polar exploring that Scott had. He had been in the navy for 18 years and was somewhat restless. A meeting with Clements Markham an advocate of Antarctic exploration and a man who was impressed with Scott is what led to Scott applying for and being given the position of Expedition Leader. The Discovery Expedition was widely praised for the value of the science that was carried out, though no exploration particularly memorable to the general public took place. 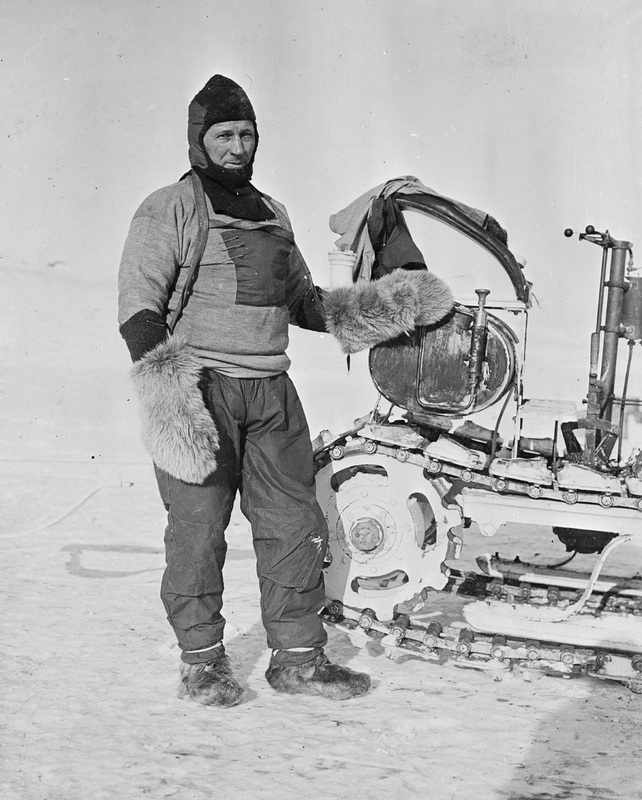 On his next trip, Scott was to make a successful bid for the South Pole, though die along with all of his companions on the way back. 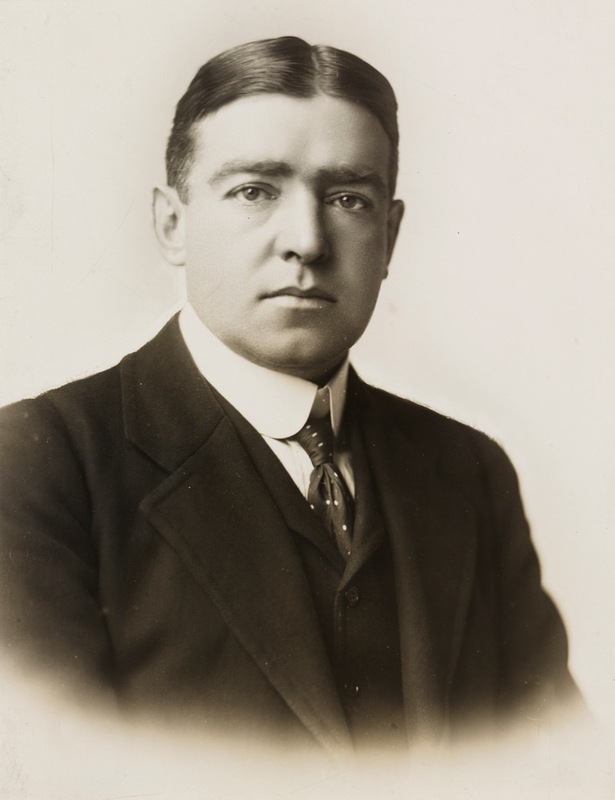 Ernest H. Shackleton - third lieutenant in charge of holds, stores, provisions and deep sea water analysis. Born in County Clare Ireland , Shackleton had a career in the merchant navy in the Pacific before joining the Discovery. He was invalided back to England in the relief ship Morning though went on to organize three trips of his own and become one of the most famous Antarctic explorers. Knighted in 1909. Deserted the ship on return to N.Z., his shipmates believed that Sinclair held himself responsible for the death of Bonner. 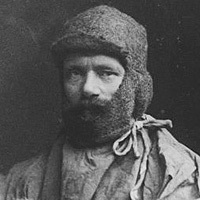 Reginald Skelton had served with Scott aboard the Majestic, Scott's posting immediately prior to the Discovery Expedition when the two men grew to know each other well. Like several others of the officers and crew who joined the Antarctic journey from this ship, Scott was impressed with his manner and abilities. 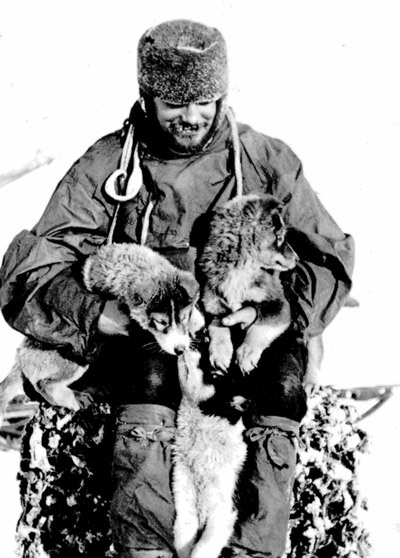 He was hoping to accompany Scott on his 1910-1913 Terra Nova Expedition but was unable to. He returned to the Royal Navy and became an Admiral. He was knighted in 1931. Smythe, William (24) - Petty officer, 1st class, R.N. 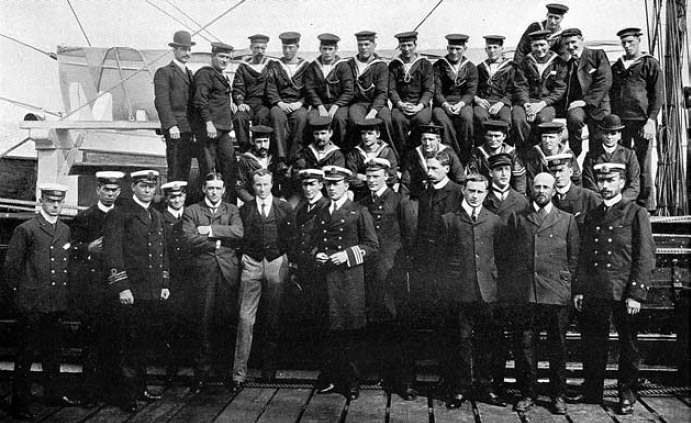 Smythe had been demoted to able seaman at Christchurch after going awol (absent without leave) from the ship. He was re-instated to petty officer after the season on Scott's recommendation. Vince, George T. (22) - seaman, R.N. Joined the Discovery at Cape of Good Hope. 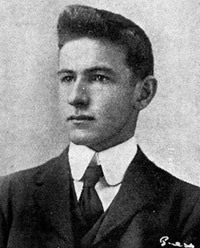 Vince lost his life on 11th March 1902 after sliding down a snow slope into McMurdo Sound, his body was never discovered. Walker was returned to Lyttleton on board the Morning in 1903. Waterman (21) - seaman, R.N. Invalided off the ship at Port Chalmers N.Z. 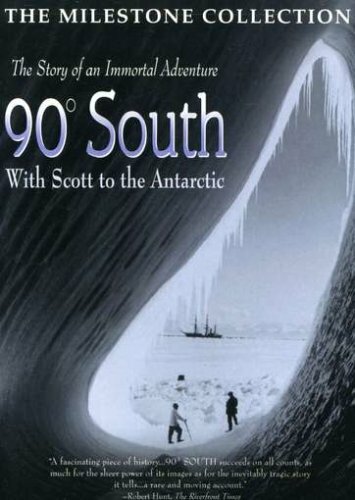 before reaching Antarctica, replaced by Croucher. Joined the Discovery at Lyttleton N.Z. Wild was a direct descendent of Captain Cook through his mother, one uncle had been three times on expeditions to the Arctic. 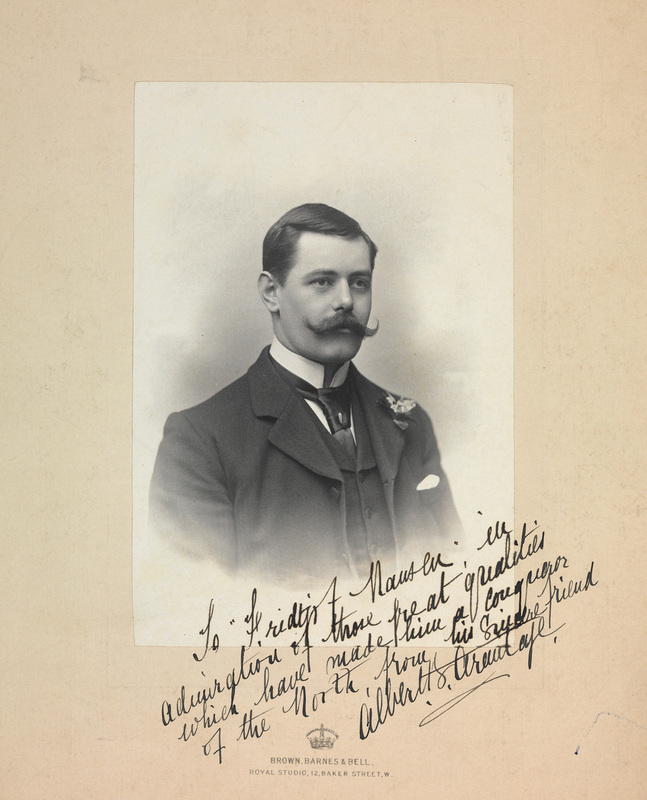 He entered the merchant navy in 1889 and joined the Royal Navy in 1900. He had received a polar medal and clasp for his work on the Discovery expedition and the Royal Geographical Society's silver medal. Williamson, Thomas Soulsbury (24) - Able seaman, R.N. Petty officer Terra Nova 1910-13. Joined the Discovery from H.M.S. Pactolus, Born 1877 Sunderland - died January 1940. 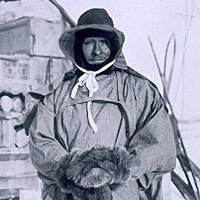 Born Cheltenham 23rd July 1872 - died with Scott and Bowers in a tent on the way back from the South Pole in March 1912. Whitfield, Thomas (32) - stoker, R.N.